When my husband and I decided we were going to move from Los Angeles back to our hometown in Washington we made a very serious pros and cons list about the reasons we should and shouldn’t move. Of course, one of my top cons of moving was that I would no longer have Disneyland a hop, skip, and a jump away from my apartment. While we did decide to move and are currently loving being back home and close to family, I miss my monthly (sometimes bi-weekly) trips to the land of happy. 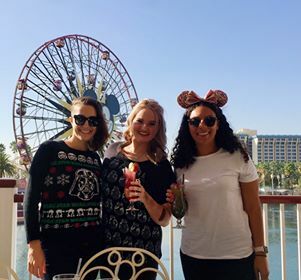 Naturally, when the opportunity for a quick LA trip came up in December, I knew a visit to Disneyland was top priority. 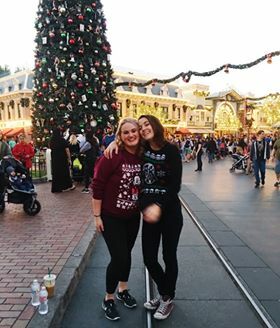 I had a wonderful recent visit to Disneyland with two of my best friends, Cait and Dom, who are both annual passholders and jumped at the idea of a reunion at the parks. I started my Disneyland day in Yakima, Washington, waking up at 3 am and slipping on my Ugly Mickey Christmas Sweatshirt. I was at the airport by 4:30 am and heading to Seattle and Los Angeles rearing to go. I landed in LA at 10 am and was picked up by Dom who whisked us away to the parks as quickly as possible. When we finally arrived at lunch time, I was beyond hungry and recommended we hit up my favorite place to eat at the parks, The Cove Bar. I heard recently they are closing Cove Bar which is just tragic, it really is the best. After a 45 minute wait or so, we got into the Cove Bar and enjoyed the best lunch view the restaurant has to offer. We enjoyed our favorite dish, the Lobster Nachos, along with some frozen fruity drinks. It was wonderful as usual. After lunch we hit up California Screaming followed by Radiator Springs Racers. 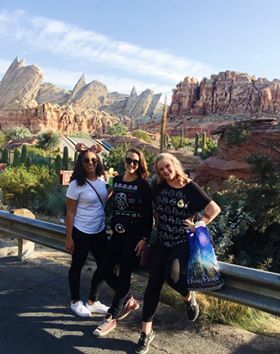 For some unearthly reason, my friend Cait hadn’t spent much time in Cars Land and hadn’t been on Radiator Springs Racers yet. The ride, which is one of my personal favorites, definitely impressed her and we had such a blast exploring Cars Land. By midafternoon I was losing a bit of speed, having woken up at the crack of dawn. We decided to check out the Frozen Show at the Hyperion Theater as it would be a nice way to recharge before the evening. I have seen the Frozen Show about 4 times. I still think it is Broadway caliber impressive and just a lot of fun. Cait also had not yet seen the show and she liked it a lot. We ended our California Adventure time by grabbing a quick Starbucks and headed over to Disneyland. Disneyland was more packed than D.C.A but really not bad at all for it being the holiday season. We rode Pirates of the Caribbean followed by Big Thunder Mountain Railroad. Dom likes to scream at the top of her lungs whenever we ride Big Thunder and Cait and I had a fit of laughter the whole ride due to her screaming. 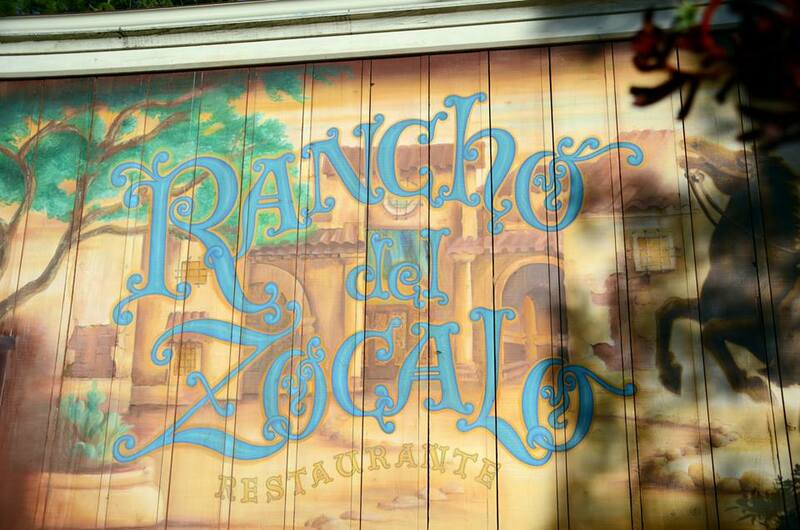 We were getting hungry after the rides so went to Rancho del Zocalo for some dinner. Clearly, I was in the mood for Mexican food at the parks, having Nachos for lunch and enchiladas for dinner. It was pretty good, but the Nachos at Cove Bar were the clear food winner of the day. We next headed over to Fantasyland and walked around the area and through the castle. We rode the Storybook Canal Boats, which are always so lovely at night. I hadn’t ridden the boats in probably 4 years or so, as there is usually a fairly long wait. We only waited about 30 minutes, and I was reminded how much I love this attraction. We hit up the Alice and Wonderland ride next, which I also really enjoy at night. Lastly, we headed over to Haunted Mansion, as we needed to ride the attraction with the Nightmare before Christmas theme which only comes once a year. We had been by earlier and it had a 70-minute wait, so were very pleased it only had a 25-minute wait when we returned. After Haunted Mansion we decided to call it night and head home, at about 10 pm. Overall, I had a wonderful reunion in Disneyland with my LA friends. 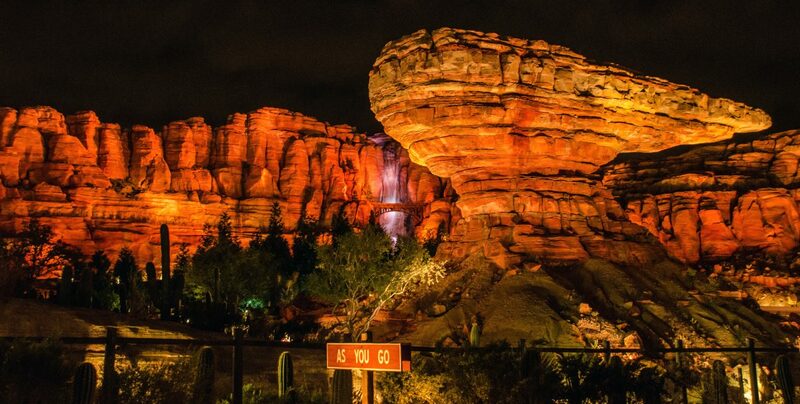 I hope I will be able to visit often and continue to see the park as it evolves over the next couple years! 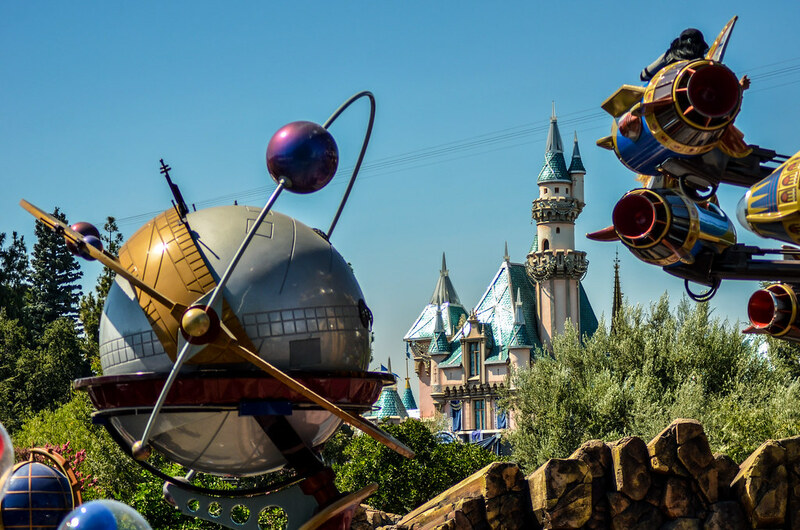 Do you have any Disneyland questions? Let us know in the comments! If you enjoy what you’re reading here on Wandering in Disney please subscribe to the blog via email or WordPress and like our social media pages. You can find all of those things on the right side of this page. Thank you very much for reading, we appreciate it! So You Want To Go To Japan?